Please join me to honor and memorialize my husband Tangyuan Cao's 33-year life story. A week before the tragic accident, he drove me to Kansas to help me relocate, and spent his 33rd birthday with me. In our newly rented apartment, we sat at the dining table, looking deeply into each other's eyes. Soft orange light shedding on his face made him look ever more handsome. He said to me affectionately: "Baby, after graduation, I will find a job that pays me well. We will have children and live a happy life together forever." The night before flying back to Riverside, he was up the whole night putting together new furniture for me. I tried to get him to nap for a little bit, since he had to catch the flight at 3am. But he insisted to stay up to finish assembling. Who would have imagined that this sleepless night would become our last night together. After being informed of the devastating news, I rushed back to Riverside. The moment I opened our apartment door, I smelled him and felt him. Our apartment light was still on, as if he was leaving just for a moment. Who knew he would never come back or that we would be in separate worlds. Everything in the apartment reminds me of him -- beautiful memories frozen in time. Tangyuan was my first love, and I was his. We met in the beautiful campus at Chong Qing University in southwest China. We studied together, we grew up together and we followed in each other's footsteps to UC Riverside for our PhD studies. For 10 years, we were only apart briefly, but distance made our hearts fonder. We loved and missed each other more and more every day. Tangyuan was a very considerate and loving husband. He never stopped protecting me with all his heart, never stopped taking care of me, never stopped spoiling me. He gave me so much: warm embraces on chilly mornings, pleasant surprises with exquisite gifts, endless whispers and long distance phone calls during our short breaks, accompanying me during my midnight lab work, and always waiting but never complaining. I can still see vividly the happy look on his face and hear his sincere vows at our wedding. In the past 10 years, the happiness and security he gave me not only deeply touched my heart, but also made everyone around us envious. We never had much financially, but we had so much in life together. Tangyuan was a noble person. He was always ready to help people. When he was a poor college student, for several years, he saved from his living allowances to sponsor underprivileged children in China to explore educational opportunities. Whenever his classmates encountered difficulties, he always offered help with patience and sincerity. Once, my friend needed help from someone who had an organic chemistry background for his grant proposal. Tangyuan volunteered ..with no hesitation. He contributed a lot of his personal time to collect information, and helped my friend complete his proposal successfully. 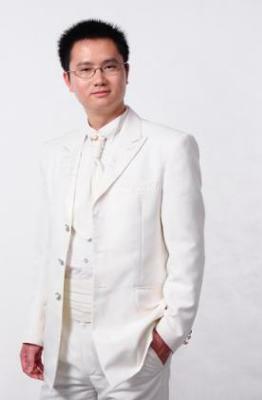 Tangyuan also was very intelligent, excelling at every school he attended. He earned 3.94 GPA for his PhD study. He had strong technical and practical skills. He completed many difficult projects, and his scientific achievements were published in the world's renowned journals and presented in many scientific conferences. During his internship with Nitto Denko Technical Inc., Tangyuan was able to fully utilize his solid organic chemistry background and innovative mind. In a short period of time, he successfully completed a complex scientific project. He provided accurate and high quality data that helped the company win a patent in this field. Tangyuan was a loyal and devoted son. No matter how busy he was, he never forgot to call home. Since we were away from our parents and could not take care of them, Tangyuan always sent warm birthday wishes and holiday gifts back home. Tangyuan was very close to his brother. They talked about everything in life. At every family gathering, we always had so much fun. Tangyuan loved life. He played for the college basketball team and won many tournaments. The way he played was so charming, cute and sunny. Tangyuan loved photography since primary school. I remember a photograph where he caught the precious moment of a lovely kid feeding deer. The photo was awarded in a city level photography competition. Both Tangyuan and I love to travel. On weekends or holidays, we would be back to nature, holding hands, with our bare feet on a California beach, listening to the waves, admiring the sunset or sunrise, and watching playful sea lions. Again and again, we were amazed at nature's magical works: Grand Canyon, Yellowstone Mannoth and Old Faithful Hot Spring, Bryce Canyon Hoodoos, and 306-inch-long national park Sand Arches. We took an underwater ferry to watch dancing seaweed, and schools of colorful fish. We have been to many other places: ski slopes on the east coast of the US, skating rink in Chongqing, China, Bowling Alley in Riverside, LA's golf course, Opera & Music Hall, Art Museum, Hollywood, and San Francisco's Golden Gate Bridge, Lombard Street etc. These places bear happy memories that will remain in my heart forever. Because of you Tangyuan, my life is rich and colorful. Because of you Tangyuan, my life is complete with no regrets. You made me a mature woman from an innocent girl, giving me the most precious love and family. Even though we are far apart right now, and I cannot touch your existence, I strongly believe your soul and spirit will be always with us, protecting me and our family. I promise you, I will live with strength, and I will spend the rest of my life taking care of our parents. Tangyuan, I love you and miss you forever. Our Thoughts Be With You and Your Families Always! Even after experiencing one of life's most tragic events and difficult challenges, your spirit remains so uplifted and your inner strength shines through so brightly. Although Tina and I both had lumps in our throats when we heard about Tangyuan (what a bright, loving and accomplished young man and husband!) and we could not fully grasp the reason why such great tragedies might fall upon someone as decent as Tangyuan and you, we have nothing but admiration for your integrity, courage and commitment. We feel more and more of each passing moment of how fortunate we are to get to know you and earn your trust in such a short amount of time, as a friend, and we must treasure our time together on earth, in this life! May you continue to find peace and fulfillment through life and live your life to the fullest! No doubt we feel deeply that is what Tangyuan and everyone around who loves you would wish upon you and your families!